Do you remember the sheer delight of planting a bean in a handful of dirt in a Styrofoam cup and watching it grow as a child? There is nothing quite as wonder-filled as a seed. The variety of color, shape, fragrance and flavor contained within that tiny package is a miracle. It is spring now and miracles await to delight, inspire, feed and calm the soul. I remember the first time I planted my own vegetable garden. Enthralled with the simplicity of the seeds, I lavished them upon the tilled ground with great enthusiasm. Imagine my excitement as they burst forth in varying shades of green, tender shoots. Honestly, I was astonished and thrilled at the power I discovered in my own hands to cultivate. And I was humbled by the earth’s desire to give me such beautiful and useful gifts. Daily, I would “walk the plantation” and assess the new growth in my garden. As the summer wore on, I was blessed by more tomatoes and beets than anyone in my family wanted to eat and a mammoth pumpkin vine that threatened to swallow the house. Soon, I realized I needed to learn how to preserve the generous bounty of my over-ambitious garden. At harvest, the kitchen was abuzz with the activities of canning and freezing the colorful, fresh vegetables. And I was hooked on the yearly ritual of placing the diminutive, surprise parcels into a bit of dirt and waiting for the anticipated joy of new life. Over the years, due to my vision loss, I have scaled back my gardening. But I always have something growing to remind me of the miracle of life. Now, I have a small herb garden in an antique bathtub on my patio. I maintain large pots of annuals that spread their cheer in spring and summer. I love to plant sunflowers for their big, bold blooms and seeds to feed the birds. At Christmas, I like planting an amaryllis bulb in a pot. My children used to measure the daily growth and marvel. Indoors, I keep several easy-to-grow plants that add color and oxygen to the sunroom. I will never be without my plants. They are such simple pleasures. So, if you are in need of a little joy, pleasure, sunshine, surprise, inspiration, or stress-relief, consider plant therapy. Start small. Start with a seed and a Styrofoam cup. A world of wonder awaits you. 2. Gently break up the soil in the sealed bag. Poke lots of holes for drainage on the back of the bag. Place it label side up on a smooth surface where it can drain, such as a raised rack or table. 3. Cut out the front of the bag, leaving a 4 inch border all around to hold in the dirt. Fluff and rake the soil evenly. 4. Mix salad greens seeds such as lettuce and arugula in an old spice bottle with cornmeal. Sprinkle evenly over the soil. (cornmeal helps you to see that the seeds are distributed evenly) Cover seeds with a dusting of dirt. 5. 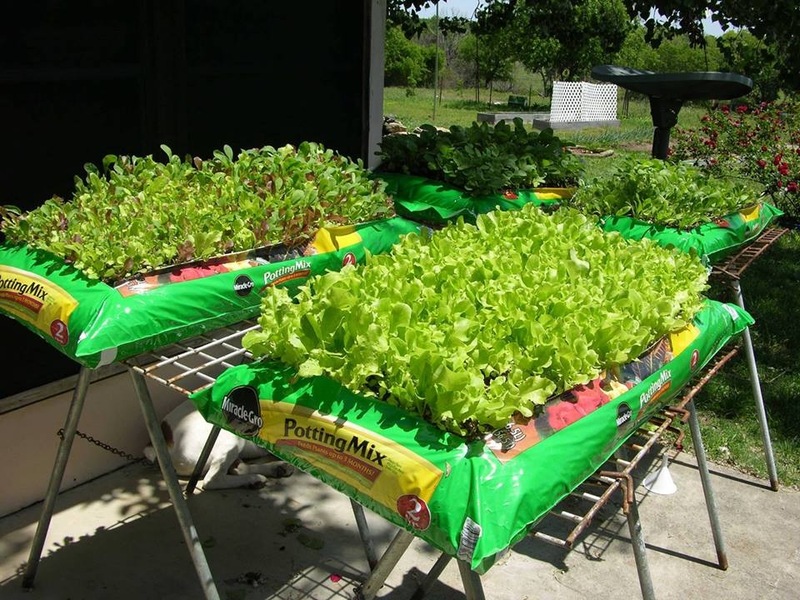 Plant spinach, radishes, or herb seeds in rows at the recommended depth on seed package. 6. Spray mist the seeds and young plants until well established. Water more vigorously when the plants are mature. Keep the soil moist, but not wet. 7. Harvest the leaves by cutting what you need with scissors. The plants will continue to produce new leaves. Enjoy your “greens”! For a visually impaired person, life can become a series of mishaps and embarrassing moments. Sometimes there are real dangers and injuries involved. Other times, just awkward situations arise that are actually quite funny if you can find the humor in them. In the early stages of vision loss, I thought I was becoming very clumsy. Now, I try so hard to use my rehab training to move through space with style and grace. I was used to appearing as a confident and competent person, but Retinitis Pigmentosa changed that. Now I am constantly on the lookout for situations and booby traps that may trip me up and cause an “RP moment”. Here are a few highlights of my personal mishaps. I have learned that sometimes, you just gotta laugh! Shopping is always a tricky endeavor. One time, I was looking at handbags on a display. As I fingered these beautiful purses, I spotted one that caught my attention. I moved closer to fondle it admiringly and discovered that it was attached to another shopper who was shocked and yanked it away from me. All I could do was apologize and say lamely “I am visually impaired”. One day, my husband dropped me off at Kohl’s. I entered the store and was overwhelmed with glass, chrome, colors, and shapes. I meandered for a while and then decided to ask for help. I rounded a pillar and spotted someone. “Excuse me”, I said. The person did not respond. I repeated myself a bit louder. “Excuse me, ma’am”…and suddenly I caught a glimpse of a dog…it was my guide dog and I was talking to myself in a mirror! I looked around quickly to see if anyone noticed my “crazy woman” behavior. No one came to haul me away. After shopping alone, my husband came to pick me up. I waited on the curb for him in the blinding sun. A reddish car pulled up and I hopped in. Then I heard an unfamiliar voice say “What are you doing?? !” “Oh-oh”, I stuttered. “You are not my husband!” I awkwardly exited the stranger’s car with no explanation. Our church service is held in the dark. My husband and I made our way to take our seats and I sat down on another man’s lap. He laughed as I yelped and popped up, causing a scene in the quiet sanctuary. I was hot with embarrassment. I went to my son’s school one day to visit his classroom. I stopped at the office, got my name badge, and then headed down the hallway. I saw his class leave their room. So I hurried toward them, waving for my son. Suddenly I fell into a bench, face down, feet in the air! It clipped me at the knees. As I struggled to get back on my feet, my son walked by and whispered “Mom, take off your name tag.” He did not want to claim me in that moment. Dark restaurants are difficult to navigate for the blind. My family took me out to dinner for Mother’s Day. My children were all teenagers at the time. They never got used to the painful, public guffaws of their blind mother. We entered our favorite restaurant and were escorted to a table. I thought I saw a booth and went to seat myself and scoot around. But alas, there was no bench and I crashed to the floor on my bum. With my dress tangled around my waist and my arms and legs flailing, I looked like a beetle on its back. I laughed so hard I could not get up! My children were all mortified and asked if we could leave the restaurant. We stayed. My son was poised to run the “Tot Trot”. Like all the other eager mothers, I stood at the starting line to help him get off and cheer for him. After they called “On your marks-get set-go!” all the children started running. My eyes were on my son and suddenly I had knocked down several small competitors like bowling pins. I tried to help them up as they cried and their mothers shot me icy looks. I slithered away. My son won the trophy and I am sure the other parents thought it was a low-down tactic to ensure the win. We all have these “blind moments”. They teach us to lighten up and accept that things are going to happen. Most of the time, laughter soothes the sting and angst. It is good medicine and it feels good to laugh. Life just happens and sometimes it can be very funny. What is one of your funniest blind moments? 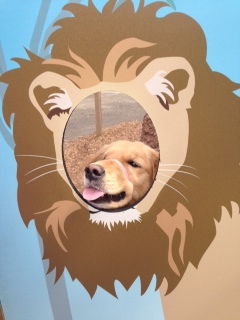 Sophie Goes to the Zoo! To fight the winter doldrums, my husband and I decided to go to the zoo. 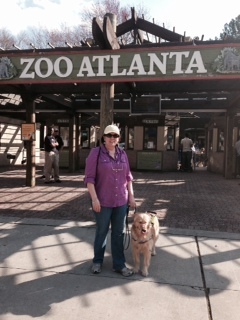 The weather was a sunny 77 degrees in Atlanta and we were hoping the animals would be out soaking up the sunshine. We had not been to the zoo since our children were young! I was excited to go as it would be a good opportunity to expose Sophie, my guide dog, to a new environment. I think it is important to continually provide her with new experiences and chances to hone her skills as a guide. Not knowing how she would do, I had a bit of concern too about the outing. I decided to use her Gentle Leader to help her contain her excitement and stay focused, which turned out to be a good idea. 1. Guide dogs are dogs, not machines. They have good days and bad days just like all of us. 2. 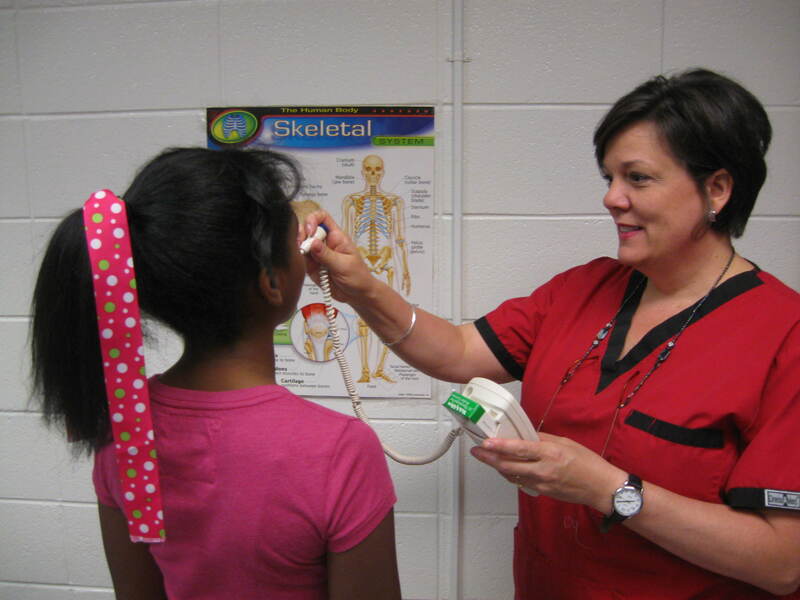 They have already proven themselves to be up for the job by surviving a rigorous program of professional preparation. Have respect for their training. 3. Sometimes, a guide dog’s behavior is about being in a totally new situation or environment and they need instruction from their handler, who also may be in a new environment, having their own difficulties. 4. It is not always easy to “handle” a guide dog. It takes a lot of time, practice and patience to become a smooth working team. You may not realize the team is new and still getting used to each other. 5. Guide dogs are amazing creatures and learn to follow a series of commands. The handler is responsible for giving the commands clearly and the dog is responsible for carrying them out safely. 6. 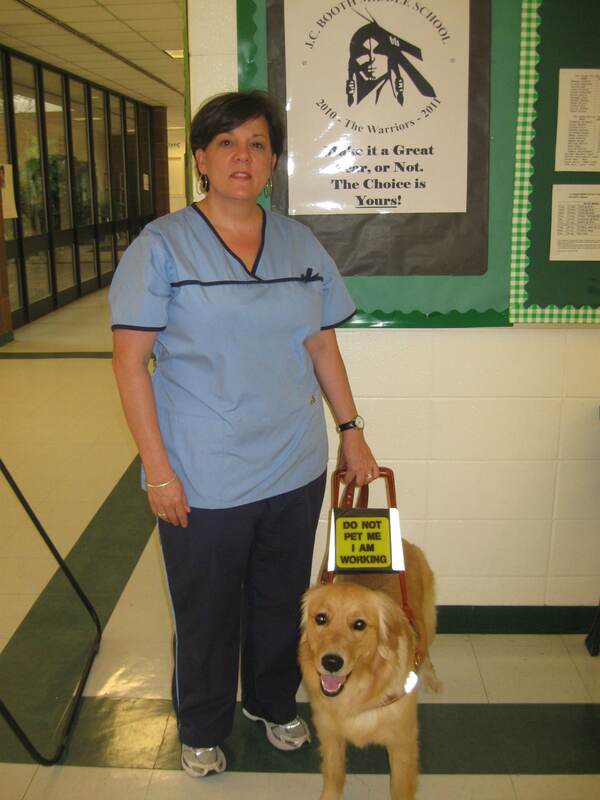 Many people who use guide dogs have some vision. There are “degrees” of blindness; we fall on a spectrum somewhere between 20/200 or “legal blindness” and “no light perception” at all. Many of us are going blind gradually. We may not “look blind” but we are not “faking it”. Why would we?? 7. Though we love our dogs and enjoy many benefits of having them, they are first and foremost a tool of mobility to us. 8. The working team deserves respect; treat us with dignity. Ask for permission to interact with the dog. Talk to the person, not the dog. 10. Guide dogs do not do tricks. Sophie is a professional guide dog, not a circus animal. Her greatest “trick” is always evident – guiding me safely in a world full of obstacles and dangers. Our day at the zoo was delightful! In spite of the crowd, Sophie was on her game. She weaved me through people gracefully and “followed” when I asked her to. 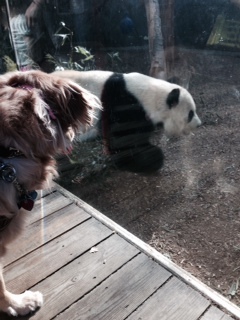 She pulled at an eager pace and seemed intrigued by the animals. The tiger was especially interested in her and paced frantically at the fence. It made me nervous so we moved on. All the monkeys gathered on their platform to come see the “pretty dog”, squealing with delight. I enjoyed the sun on my face, the variety of smells and exotic sounds, and the occasional glimpses of the animals I was able to squeeze out of my vision. My husband patiently narrated scenes like the playful antics of the baby gorillas. Despite the many distractions, Sophie handled the challenge and excitement of our adventure like a pro. A good time was had by all! So get out of the house and do something new. It is good for the soul!